Zeolites are the synthetic or naturally hydrated aluminosilicate minerals that are used as commercial catalysts and adsorbents and contain alkali and alkaline metals. Natural zeolites are available in abundance; however, they offer a limited range of atomic structures and properties. Contrarily, synthetic zeolites offer larger cavities, and thus, ample range of properties as compared to natural zeolites. Hence, there are a number of zeolites manufactured across the globe, annually, to cater to variety of applications. Synthetic zeolite is developed through slow crystallization of silica alumina gel in presence of alkalis and organic templates. Sol gel processing is an important step involved in the manufacture of synthetic zeolite. Zeolite is used in a wide range of industrial and domestic applications including nuclear, petrochemical, and biogas production industries. Majority of synthetic zeolites manufactured are used in the detergents industry. Synthetic zeolites are environmental-friendly and are increasingly used as an alternative over phosphates as a raw material in detergent manufacturing. Growing population is expected to boost the demand for detergents, which, in turn, is projected to drive the demand for synthetic zeolites. Synthetic zeolites also find application in petrochemical industry as catalysts. They are popularly used in fluid catalytic cracking and hydrocracking of petroleum. Thus, the growing petrochemical sector is expected to boost the adoption of synthetic zeolites. Synthetic zeolite is also used as an additive in the production of asphalt concrete. Another major application of synthetic zeolite is as adsorbents. Zeolite molecular sieves are employed as adsorbents by various end use industries. 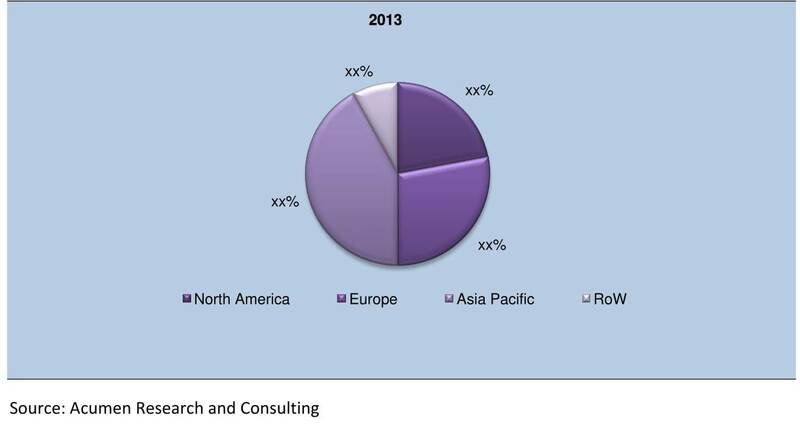 The global synthetic zeolite market is expected to witness a growth of around 4.4% during the period from 2014 to 2020 and reach the market size of more than $1.5 billion. Asia-Pacific is expected to be the fastest growing region in terms of demand for synthetic zeolites, owing to high demand from detergents manufacturers. Phosphate-based detergents are almost totally replaced by zeolites in North America and Europe, leaving low scope for growth in the region. However, the market is expected to be compensated by growth in Asia-Pacific and RoW. Adsorbents and catalysts applications are likely to grow at fast pace in North America and Europe during the forecast period. Some of the players profiled in the report include Zeolyst International Inc., Albemarle Corporation, Fujian Risheng Chemical Co. Ltd., W.R. Grace & Company, Anten Chemical Co. Ltd., BASF SE, Chemiewerk Bad Kostritz GmbH, Clariant AG, Honeywell International Inc., and Huiying Chemical Industry Co. Ltd. among others.